Line players up as shown along with tire or cones, each player should have a puck. 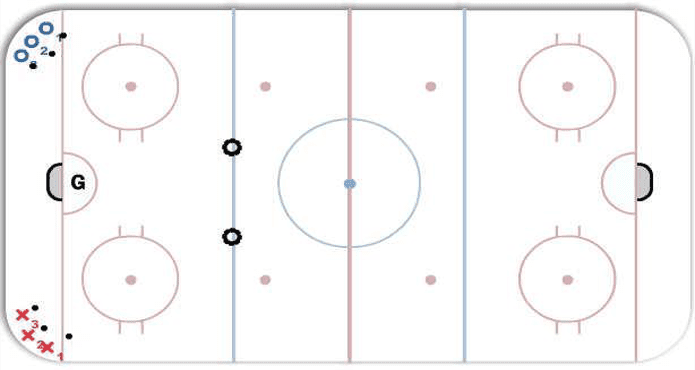 Once O3 has taken his shot the first 3 players from the opposite corner go and do the same drill. As players are finishing drill they go to the line in the opposite corner they started from and make sure they alternate their position in the line so the same players are not always 1,2 or 3.